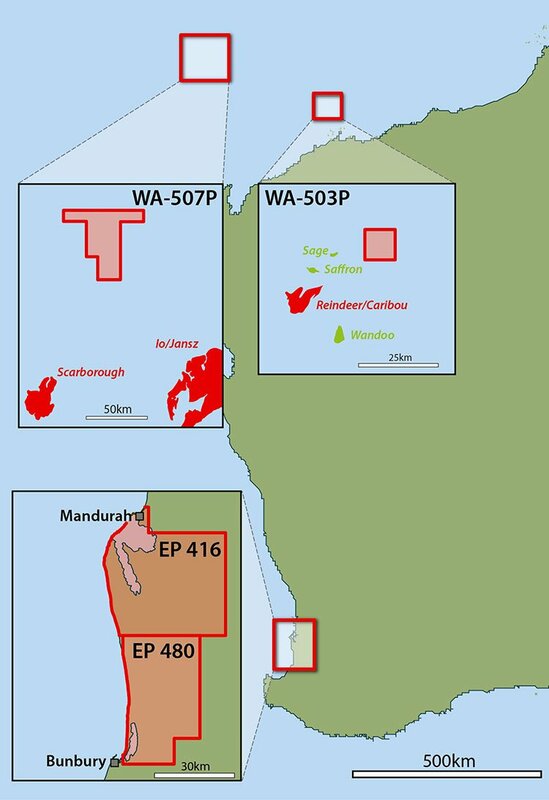 Cashed up majors are ploughing hundreds of millions of dollars into exploration of the Northern Carnarvon gas province, offshore Western Australia. They are all hunting for the next emerging oil and gas play in a region which hosts the gigantic 35.3 TCF gas fields of Gorgon and Jansz-Io. On trend with giant gas fields feeding both onshore and offshore LNG plants, $45BN Norwegian major Statoil and the $50BN Italian Eni are paying up to $50M to conduct 3D seismic surveying on one permit alone. While Statoil and Eni spend tens of millions of dollars on seismic, next door our company already has licensed existing 3D seismic data over its permit – which it grabbed for a low upfront cost. This company represents an early stage entry point into a company well positioned to create significant shareholder wealth. Success is no guarantee though – and this is a speculative investment. It’s not just one offshore permit though – it’s got four new highly prospective exploration permits that it owns a majority stake in. It has been diligently positioning itself for the next industry upturn, yet the company and its opportunistic acquisitions have gone completely and utterly under the radar. At such a low market cap of $1.6M, it is therefore well poised for a near-term re-rating, and could offer multi-bagger potential over the near to mid-term. At the same time, it is early days here, so caution should be applied. With 10 TCF of gas (best case) and over 20 TCF in the high case recently independently verified, we are expecting a similarly large prospective oil resource to be announced in the coming weeks. 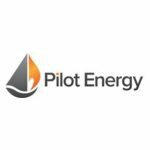 Pilot Energy (ASX:PGY) has reinvented itself as an emerging junior oil and gas company, having acquired its four new permits in the space of just ten months – an impressive result for such a small team. Right next to Statoil and Eni, PGY has an 80% stake in a large deep-water permit on trend with giant gas fields feeding both onshore and offshore LNG plants – a permit regarded by the industry as highly prospective for both gas and possibly oil. PGY has also secured an 80% interest, as Operator, in a shallow water oil exploration permit along trend from numerous oil discoveries. While new 3D seismic data is required to meet commitments and to supplement the existing 3D seismic data over the permit, the company expects to be able to acquire the new data on very favourable terms. Finally, PGY has just acquired a 60% interest, again as Operator, in two prospective onshore permits in the Perth Basin, next to existing gas infrastructure and close to industries that are desperate to secure new supplies of gas. 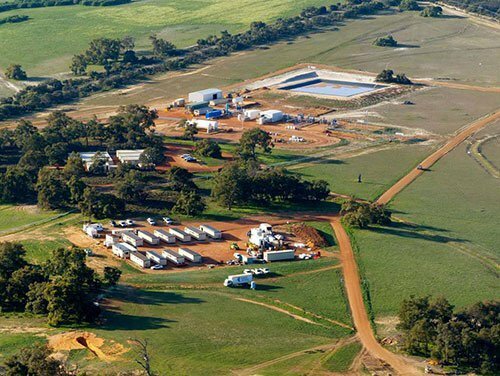 PGY has acted in an opportunistic and entrepreneurial fashion to rapidly build a compelling asset portfolio in Australia, moving away from a failed Alaskan farmin in its former life as Rampart Energy Ltd. In fact, it’s just settled a legal dispute relating to the Alaskan misadventure, and gaining a US$500,000 cash boost – putting the Rampart days well and truly behind it. Iain Smith has 26 years of experience with the likes of Premier Oil and Australian offshore specialist Woodside Energy, in technical and commercial roles. He has recently stepped up as Managing Director of PGY, having agreed to an initial reduced salary that is significantly lower than his industry peers – consistent with this company’s low cost approach to doing business. He has an opportunity to increase his remuneration if he hits specific performance targets, so that an entire third of his potential remuneration is subject to doing a great job for shareholders and growing the company. That’s the right kind of attitude we like to see from management of stocks in our portfolio. PGY also has non-executive directors on the Board with experience at companies such as Chevron, Cooper Energy, and Occidental. But it’s not just working at majors that this team has on its resume – Importantly for shareholders, the Board has significant experience in acquiring assets, adding value and farming them out to third parties in order to fund exploration. Exactly what they intend to do at PGY. PGY Chairman Gavin Harper was previously Chairman of Sino Gas & Energy Holdings (SEH), overseeing tremendous growth from 4 cents per share in 2011, to 24 cents per share in 2014 – that’s 500% gain – with the company joining the ASX 300 along the way. Further, PGY directors all have significant “skin in the game”, owning some 16% of the company after investing approximately $300,000 of their own cash over the past 12 months. This is a Board that believes in its strategy and is prepared to back itself with cold, hard cash – exactly what we like to see at the Next Oil Rush . Corporate overheads have been slashed by the new team and are now about as low as can be. This is not a lifestyle company for corporate fat cats. The company has a new name, new management, new projects and a clear strategy. It is aiming to build a leading junior oil and gas company, and while this would normally require a heck of a lot of capital, PGY has managed to quickly get into some highly attractive projects simply by being a canny operator. Let’s take a look at what we’re calling the Pilot Energy Trinity. This is PGY’s high impact play with a fantastic street address, and high value farmout deal potential written all over it. The permit is located in deepwater in the Exmouth Plateau, covering 1,662 km 2 in water depths of 1,000 metres to 1,500 metres. 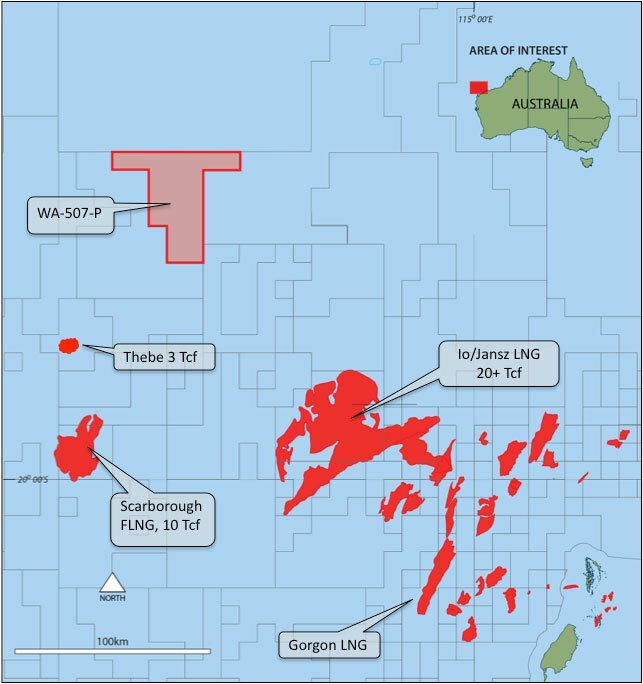 Normally companies with a $1.6 million market cap simply don’t get to play in the deepwater space along with the likes of the LNG boys to the north and south, however PGY has been fortunate to secure the WA-507-P permit with a very low work commitment. This is a classic example of being in the right place, at the right time. You’ll see on the map above numerous giant gas fields such as Scarborough, which is currently subject to a floating LNG development. You’ll also notice the Io/Jansz and Gorgon fields, currently feeding the behemoth Gorgon LNG project from Chevron. There’s also the cheeky little 3 trillion cubic feet Thebe discovery too, but the canny operators at PGY are looking to the north rather than the south – and for very good reason too. Just to the north of PGY’s permit Norwegian giant Statoil, Italian behemoth Eni and Dutch giant Shell are all busy in an oil hunt, investing tens of millions of dollars in seismic data acquisition. According to their permit terms , Statoil has committed to undertake 2,000 km of 2D seismic, all sorts of geological studies, and 3,500 km 2 of 3D seismic, at a cost of up to $50 million. Then it could get working on an exploration well. The technical work alone is music to the ears of PGY, as it will have technical work on the same rocks it is looking at done by a major oil and gas company to the north while it can just sit back and point at the results to potential farm in partners. However, PGY isn’t just sitting there waiting for Statoil to do its thing, the company is taking destiny into its own hands. PGY has committed to undertaking three years of low cost geological and geophysical studies on the permit to provide a potential farmin partner with double barrels of both Statoil work to the north and its own work on the permit to mull over. The permit is clearly prospective for gas, with three large and robust structures evident on the existing 3D seismic data. However there is an emerging belief within the industry that the area may well be prospective for oil also. That’s just a lazy 10 trillion cubic feet of gas on its hands (Best Case), with over 20 trillion cubic feet in the High Case. These figures do not include any estimates for oil. PGY has engaged GCA to provide a prospective oil resource estimate for the leads, with the results anticipated to be announced within the next few weeks. Given the size of the three structures mapped by PGY, we expect the prospective oil resources to total hundreds of millions of barrels. That may just pique the curiosity of the market – not to mention a few big boys in the area. 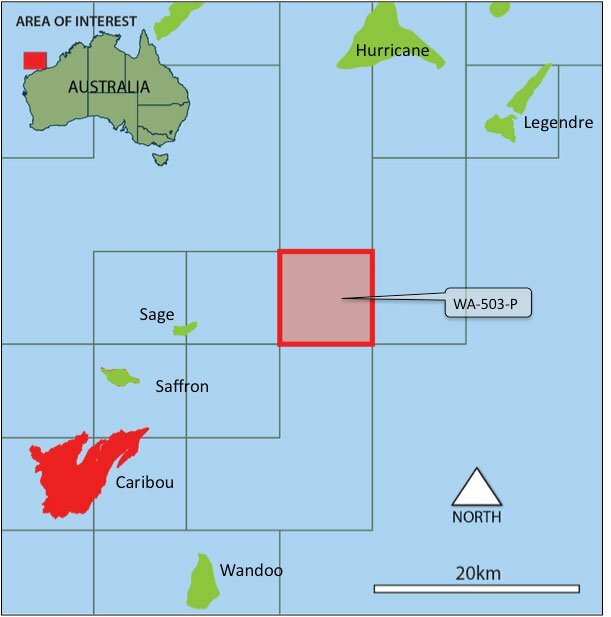 Back in March, PGY announced that it had picked up an 80% working interest in the WA-503-P exploration permit, located in the shallow waters off northwest Western Australia. What’s more, it picked up the working interest for nil cash consideration, by agreeing to take on the relatively low work commitments after the previous owner experienced a change of Board and associated change of strategy. The primary focus of exploration work on the block is the Lower Cretaceous to Upper Jurassic sandstone reservoirs, which produce along the oil rich Legendre trend. Existing exploration wells in the permit confirm the presence of a working petroleum system, including oil shows and a 4 metre oil column. It is thought that modern day “Broadband” 3D seismic data will help greatly to de-risk the known prospects, in order to proceed with drilling. The permit is in shallow water, making it relatively cheap to drill with a jackup rig and therefore even more attractive for a potential farmin partner. The original terms of the WA-503-P permit included acquiring 3D seismic over 80 km 2 of the permit by May 2015, however PGY moved quickly to apply to go to the regulator and has been successful in getting this changed. Now that seismic survey is not required to be completed until May 2017. This provides a window of opportunity for PGY to conduct desktop studies of existing data and commission an independent assessment of prospective oil resources, before bringing that data to market in order to attract a farmin partner to help bear the cost of further work on the permit. PGY is currently preparing to get the independent resource estimate completed for the three potentially oil-laden prospects that have been identified on the permit, based on existing 3D seismic data. It believes the three leads host individual prospective resources of between 10 million barrels of oil and 45 million barrels of oil (Best Case). In the High Case, one of the prospects offers up to 130 million barrels of oil (these are the company’s own estimates). Due to the shallow water and existing infrastructure, the minimum economic field size is very low, and even at current depressed oil prices, that represents billions of dollars in potential revenue. But of course we must remind you that the prospective resource numbers need to be independently verified and the prospects further derisked before exploration drilling can commence – and PGY is some time away from any sort of revenue. Earlier this month PGY announced that it had picked up a 60% operating stake in EP416 and EP480 in the Perth Basin , an onshore hydrocarbon province which is generating a lot of buzz due to major exploration success and the potential for industrial users to tap suppliers to do side-deals. PGY is entering the Perth Basin at just the right time, hot on the heels of exploration success in the basin. 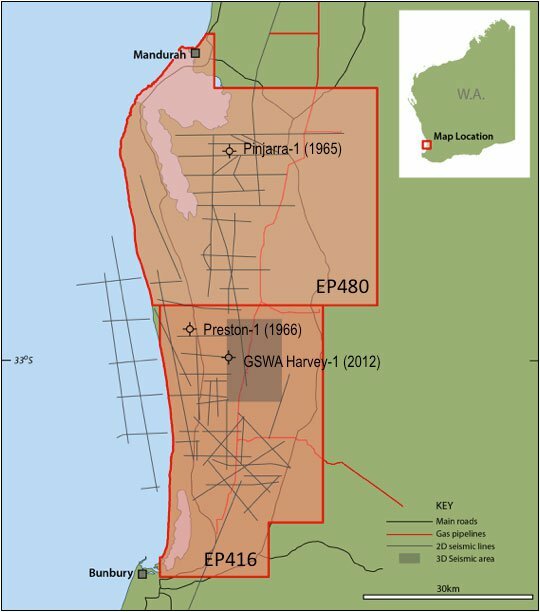 In fact, AWE recently found the biggest onshore hydrocarbon discovery in WA for decades, but more on that later. PGY is acquiring a 60% stake in the permits from Empire Oil and Gas for an initial $150,000; with a further $300,000 payable when a forward program for the permits has been agreed upon next year. It will also fund Empire’s share of permit costs for 24 months, but crucially this excludes seismic and drilling costs. The deal marks PGY’s third acquisition in 10 months, and it might just be its most timely. The onshore permits offer PGY low cost exploration (compared to its offshore projects), and low project entry cost. Only three wells have been drilled on the permits, and two of those were drilled way back in the 1960s, meaning there’s still a lot of potential upside to come from the permits yet. A geosequestration well drilled in 2012 as part of a carbon storage project from the CSIRO encountered good quality sandstone reservoirs. PGY’s primary target will be the Sue and Leseur Sandstone reservoirs, fed by gas generated within underlying coal measures. This is similar geology and a comparable hydrocarbon play to that which has proved so successful in the north of the Perth Basin. Existing 2D seismic has identified a large structure across the permit areas – but whether it is gas-bearing will only be known after further analysis, and ultimately drilling. At the moment the joint venture is crunching the numbers on Empire’s recently acquired airborne geophysical survey, but PGY thinks it has an initial handle on what it’s looking at, with the company’s estimate of prospective gas resources shown in the table below. PGY advised the market that as a Best Case it would be looking at 270 billion cubic feet of gas, and in a High Case scenario it could be looking at 600 billion cubic feet. However note that these numbers are yet to be independently verified. PGY and Empire are entering unknown territory and while a bear would say that they’re simply poking around – a bull might say that the joint venture has built an excellent early position. Exploration success in EP416 and EP480 could open up a whole new ball game for the South Perth Basin. Why are you hearing more about the Perth Basin these days? Talk to seasoned oil and gas investors in Australian these days and invariably talk will turn to the Perth Basin. There are plenty of promising onshore hydrocarbon basins in the country, including the Canning and Beetaloo, but only a few have ready access to the infrastructure required to turn a profit in relatively quick order. The Perth Basin is one of them. The Dampier to Bunbury gas pipeline runs the length of the entire basin, and conveniently cuts across both of PGY’s permits, offering the joint venture a relatively quick route toward commercialisation in the case of a discovery. There’s a supply shortage as well. The majority of Western Australia’s gas is generated from the North West Shelf, over 2,000km away from the primary domestic gas market of Perth and the south west. Once the gas is transported all the way south and various pipeline owners have taken their cut, the gas tends to get pretty expensive. At the moment there’s a domestic gas reservation policy in play for the LNG plant operators from the north, guaranteeing the domestic market 15% of LNG equivalent, but that arrangement is set to roll off in 2020 and there’s no guarantee that the arrangement will continue. Analyst predictions have the domestic gas price reading $10 to $11 per gigajoule. Let’s just say in the absolute best-case scenario PGY and Empire manage to find 600 billion cubic feet of gas – that equates to over 633 million gigajoules! Nobody’s suggesting that PGY is suddenly going to unlock billions of dollars of revenue all of a sudden, but it gives you an idea of scale. A domestic gas buyer such as industrial giant Alcoa or Synergy may well seek to tie up an offtake deal with the joint venture, funding drilling in order to secure potential supplies and avoid having to pay exorbitant market prices. While industrial users of gas doing deals with exploration companies is relatively new on the east coast, in the west it’s been going on for decades. The latest discovery in the Perth Basin, to the north of where PGY and Empire are looking, has the market talking about the potential of the basin as a whole. Back in March, experienced Perth Basin operator AWE together with oil giant and domestic gas provider Origin Energy flow tested the Senecio-3 well at the Waitsia field, north of where PGY is exploring. It flowed at 12.3 million feet of gas per day from the well, leading managing director Bruce Clement to declare the field a commercial discovery . Undoubtedly, PGY will be hoping to borrow from the AWE playbook, but its joint venture partner Empire Oil and Gas may provide a more definitive blueprint for success. Those looking at the North Perth Basin know that Empire Oil & Gas is one of the little players that did the work, moved through the phases, and is now rolling in the cash industrial demand is creating in the area. Empire Oil & Gas is the owner and operator of the Red Gully gas and condensate plant north of where PGY is searching. The above photo was taken during the commissioning phase of the plant, and it was built on the back of exploration in the region, spurred on by a desperate need for gas in the basin from some of the world’s biggest industrial users. US giant Alcoa ended up being a co-investor in the plant, and Empire is about to switch on phase two gas sales to the player, with Empire expecting revenue to reach $23 million in the current financial year. The US giant originally tipped in $25 million into the construction of the plant, underpinned by a long-term gas sales agreement. This is why observers are excited by the Perth Basin right now. With exploration success, good market economics and a relatively straightforward (for Australian basins, anyhow) path to market, all the ingredients are in play for smaller companies to come in and establish a good business. That success is why Empire Oil & Gas is focused on its core business in the north of the Perth Basin. PGY has therefore been able to seize the opportunity to explore comparable geology to the rocks underpinning success in the north of the basin, in large permits that are hugely underexplored. For $450,000, PGY’s acquisition of a 60% operating stake in the two permits is looking like a good piece of business. The reason PGY has piqued our curiosity is that for a company of its current market cap, it has such significant upside – across three discrete projects, not just one – with time on its side and very low commitments relative to that upside. As its trading at cash backing, its entire asset portfolio is valued at zero by the market. PGY has a presence in the big-name, high-impact deepwater exploration game and its team has a wealth of experience and connections to draw upon in order to create value for shareholders. While it would be fanciful to suggest that PGY could start drilling for billion barrel potential in the very near-term, the company is sitting pretty, right next to some of the largest oil and gas companies in the world. Statoil has committed to up to $50 million of exploration work in the permit immediately north of PGY’s play. With very large prospective gas resources already independently confirmed in PGY’s permit, equally large prospective oil resources are expected to be independently verified within weeks. Meanwhile, PGY’s shallow water permit is an oil-rich play that is close to getting an independently verified prospective oil resource estimate. PGY has managed to defer significant exploration expenditure, meaning that it doesn’t have to spend a lot of money in the near-term, and will be able to take updated resource numbers to a potential farmin partner. In the Perth Basin, PGY has farmed in to two prospective onshore permits, with a joint venture partner who has already made the transition from small-time explorer to producer. While everybody is focusing their attention to the north, PGY has managed to slip in down south and might just have its feet on the next big Perth Basin play. With supportive market economics and a supply crunch looming in 2020, it’s a great time to be building an early-stage position, as PGY has done in all three of its West Australian projects. PGY has left its Alaskan misadventure well and truly behind it, and is well on the road to delivering tremendous shareholder value with its growing exploration portfolio. At the same time, this is an early stage, speculative stock, and investors should seek professional advice before investing.